Born to prominent army leaders in the mid 1950s, Simon graduated from China Central Radio and TV University. He then saw the opportunities in the opening business environment in China. He began his business administration career in a renowned state owned enterprise, where he learned more about Rewi Alley and his contribution to China. He moved to Shenzhen in 1983 when Shenzhen was one of the initial Special Economic Zones. There, he became the director of one of the five businesses in China charged with importing necessary technology for China’s catch up phase of entering the global economy. 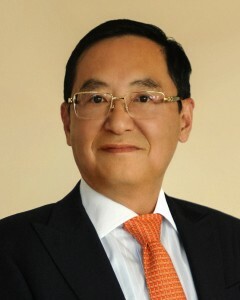 Simon gained a high level of experience in international business and has since been the Vice President of the Shenzhen General Chamber of Commerce. Simon became a New Zealand resident in 2000. In recent years he has devoted to arts and cultural exchange between New Zealand and China. Simon is the founder and chairman of Rainbow China Culture and Media Group (NZ) Limited. He has helped bring many leading Chinese cultural groups and arts exhibitions to New Zealand. Rainbow China Culture and Media Group (NZ) Limited is a strategic partner of the China Literature and Art Foundation. In future, the Group will organize many more arts and cultural exchange activities for the people of both countries to enjoy. In 2012, Mr Deng Li and NZCFS entered into a joint Memorandum of Understanding to establish The Simon Deng Li Fund. Over 5 years, a sum of 1 million RMB will be available to the NZCFS, with 200,000 RMB being available on October 1st of each year. All funds will be used to assist the NZCFS consolidate and deepen friendship between the peoples of China and New Zealand, especially in the fields of art and culture. As of early 2014, eight projects have been supported by the Simon Deng Li Fund. For more details click here.